The secret is out – the Panhandle of Northwest Florida is quickly becoming one of the hottest and most popular coastal destinations in the country. Located in the heart of the Panhandle in popular South Walton is the iconic Sandestin Golf and Beach Resort. This sprawling 2,400-acre resort has been rated the #1 Resort in Destin by U.S. News and World Report and is universally recognized as the finest resort on the Emerald Coast. It seems Sandestin’s awards stretch further than its 7.5 miles of pristine beaches and bayfront – and with good reason – Sandestin is a four season resort for all ages. There is something for everyone at this resort. Lounge all day and relax by soaking up the sun and splashing in the crystal clear emerald waters, or get up and get moving with a multitude of exciting activities like YOLO paddle boarding, kayaking, waverunner rentals, parasailing and more. 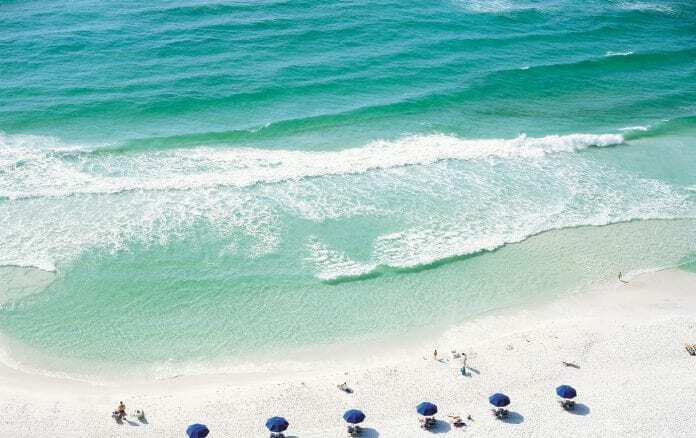 Sandestin features 1,300 deluxe accommodations, miles of beach and bay front, four championship golf courses, world-class tennis courts, swimming pools, marina, a variety of retail stores, fitness center, spa, the Village of Baytowne Wharf and so much more. The resort also offers more complimentary amenities than any other resort in Northwest Florida including daily bicycle rentals, access to the Tennis Center courts, fitness center and boogie boards. Plus, enjoy entertainment and events all summer long with movie nights, luaus, fireworks, concerts, live music Fridays, family fishing tournaments and more. The days just don’t seem long enough to enjoy everything Sandestin has to offer. Time spent on Sandestin’s world-famous beaches with their white sand and warm emerald waters of the Gulf of Mexico, is priceless. And, with a full array of beach services, it is effortless as well. It’s easier than ever to visit paradise with direct flights from Memphis, Nashville, and Knoxville to Northwest Florida. To start planning your vacation to Sandestin and to receive 20% off, visit Sandestin.com/tribune or call 844.243.0120. The resort has several ways to save this season and their reservations staff will work with you to find the best accommodations from the beach to the bay. Soak up the fun in the sun this summer with beautiful beaches, amazing events, endless shopping and more.